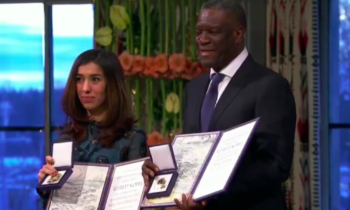 The National Dialogue Quartet, winners of the 2015 Nobel Peace Prize, were presented with this prestigious award at a solemn ceremony held Thursday in Oslo City Hall, with attendance of King Harald of Norway and the Norwegian government. In their remarks, Houcine Abassi (Tunisian General Labour Union, UGTT), Mohamed Fadhel Ben Mahfoudh (Tunisian Order of Lawyers, ONAT), Abdessattar Ben Moussa (Tunisian Human Rights League, LTDH) and Wided Bouchamaoui (Tunisian Confederation of Industry, Trade and Handcrafts, UTICA) affirmed that the Nobel Prize is a tribute to the Tunisian Revolution and an inspiration to all the peoples of the world, urging them to claim their legitimate rights. They said this prestigious award has crowned a rich militant path towards national liberation and construction of the democratic edifice. This Prize also rewards the political stakeholders who opted for consensus as well as Tunisian women, youth, men of culture, unionists, human right defenders, security forces and the national army, they said. 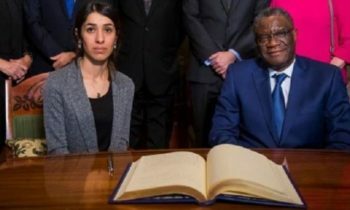 The world needs today a dialogue between civilisation and peaceful and diversified co-existence, members of the Quartet said, affirming the need to intensify efforts of fight against terrorism and against all forms of ideological obscurantism. “The National Dialogue has never been easy, but despite the difficulties, the transition process was able to succeed,” they stressed. The achievement of stability in Tunisia depends on job creation for youth, development of interior regions and improvement of infrastructure and amenities and boosting investment. In her opening remarks, Chair of the Norwegian Nobel Committee Kaci Kullmann Five said the Quartet has deserved the Nobel Peace Prize for its decisive contribution to the building of a pluralistic democracy in Tunisia, reminding that this Prize speaks to the core of Alfred Nobel’s vision of fraternity and disarmament. 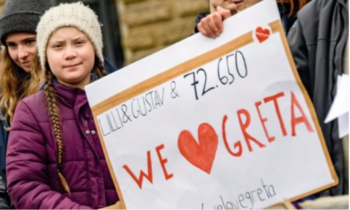 The Quartet’s work has led to a better platform for peace and non-violent resolution of conflicts, she stressed, adding that its story is about building strong institutions to ensure justice and stability, and demonstrating the will to engage in dialogue and cooperation. Its work also helped steer the constitutional process to a successful conclusion and end up with one of the most democratic constitution in the entire Arab world, along with strong institutions to ensure justice and democracy. She added that Tunisia has shown the world that Islamist and secular political movements can negotiate with one another to reach solutions in the country’s best interest. Economic and political reforms, not least a sustained effort to combat corruption, are also needed for Tunisia, she underlined, speaking of the major security challenges faced by Tunisia. The Norwegian Nobel Committee awarded gold medals to the representatives of the National Dialogue Quartet. 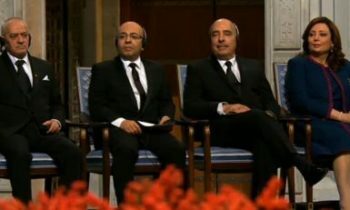 The Nobel Peace Prize Award ceremony was marked by musical interludes performed by Tunisian (Amel Mathlouthi) and Norwegian singers.